BEIRUT, March 19 (Reuters) - President Bashar al-Assad flaunted government advances in Syria's seven-year war by filming himself driving to meet frontline soldiers near Damascus, making a video of the journey from the city center into areas recently recaptured. "The road is open... everything is running now in the city and in Syria," he said in the video, describing a road that had previously been cut by sniper fire and saying it was now easier to travel around the country. The video, released overnight after a trip on Sunday, showed Assad in sunglasses at the wheel of his Honda car, speaking about the government's increasing strength as peaceful scenery behind him gave way to battle-scarred concrete. Syrian President Bashar al-Assad meets with Syrian army soldiers in eastern Ghouta, Syria, March 18, 2018. SANA/Handout via REUTERS ATTENTION EDITORS - THIS IMAGE HAS BEEN SUPPLIED BY A THIRD PARTY. 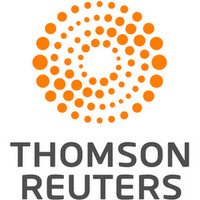 REUTERS IS UNABLE TO INDEPENDENTLY VERIFY THIS IMAGE. Syrian President Bashar al-Assad reaches out to shake the hand of a Syrian army soldier in eastern Ghouta, Syria, March 18, 2018. SANA/Handout via REUTERS ATTENTION EDITORS - THIS IMAGE HAS BEEN SUPPLIED BY A THIRD PARTY. REUTERS IS UNABLE TO INDEPENDENTLY VERIFY THIS IMAGE. Syrian President Bashar al-Assad walks with Syrian army soldiers in eastern Ghouta, Syria, March 18, 2018. SANA/Handout via REUTERS ATTENTION EDITORS - THIS IMAGE HAS BEEN SUPPLIED BY A THIRD PARTY. REUTERS IS UNABLE TO INDEPENDENTLY VERIFY THIS IMAGE. Syrian army soldiers take pictures with their mobile phones of Syrian President Bashar al-Assad in eastern Ghouta, Syria, March 18, 2018. SANA/Handout via REUTERS ATTENTION EDITORS - THIS IMAGE HAS BEEN SUPPLIED BY A THIRD PARTY. REUTERS IS UNABLE TO INDEPENDENTLY VERIFY THIS IMAGE. It is the latest in a series of military gains for Assad after Russia entered the war on his side in 2015, ending rebel hopes of toppling him by force. Large areas remain outside his grip, but he now controls the main cities of Syria's heavily-populated west. "This is the picture he wants to give... he is in control and finishing off the opposition in eastern Ghouta," said Nikolaos Van Dam, a former diplomat in Syria and author of two books on the country. 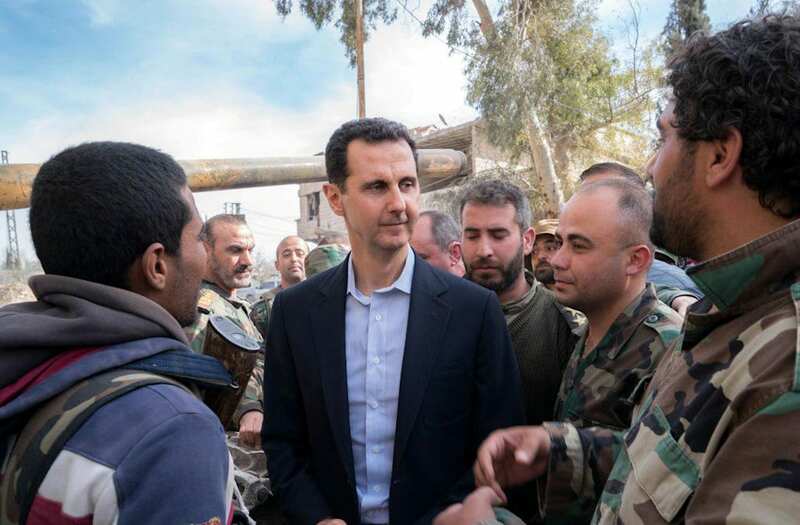 While Assad has increasingly been shown traveling around Syria in recent years, it is unusual for him to visit areas close to the battlefront, as he did on Sunday, meeting cheering soldiers as well as civilians who had escaped the fighting. There have been numerous other signs of his increasing confidence, including the release last year of a banknote bearing his image for the first time since he became president in 2000. Wearing a suit without a tie and speaking informally to the in-car camera, Assad gave a running commentary on the areas he was driving through and discussed the military campaign. He drove into eastern Ghouta from the east - the direction from which the army campaign began a month ago - into the district of Jisreen, which was captured late on Friday. "When we see that people are returning to the state, it affirms what we are saying: that people want the state, and the state is the mother and father of everybody," he said as he passed civilians who had left the rebel enclave. His government and its ally Russia describe the opposition as terrorists and the population in rebel-held areas as human shields for armed groups. A man gets stuck under debris at a damaged site after an airstrike in the Saqba area, in the eastern Damascus suburb of Ghouta, Syria January 9, 2018. Abu Abdallah, 26, who was rescued from under the rubble after an airstrike, is seen at a relative's home in the Saqba area, in the eastern Damascus suburb of Ghouta, Syria, January 11, 2018. The opposition says residents of eastern Ghouta - an early center of the uprising against Assad - do not want to return to his rule for fear of persecution, which he denies would happen. Speaking to the camera as his car passed from fields into a town pocked with shell holes, Assad said Syria's long-term challenge would be to "rehabilitate" children brought up under rebel rule. "This generation has lived five years with dark thoughts, and with elements that resemble the days of the Middle Ages," he said, saying they needed to be brought back "onto the right path."